Watery and thinnish, but doesn't show brushstrokes quite as badly as Avalanche does; and is more opaque, even in a single coat, than Avalanche. 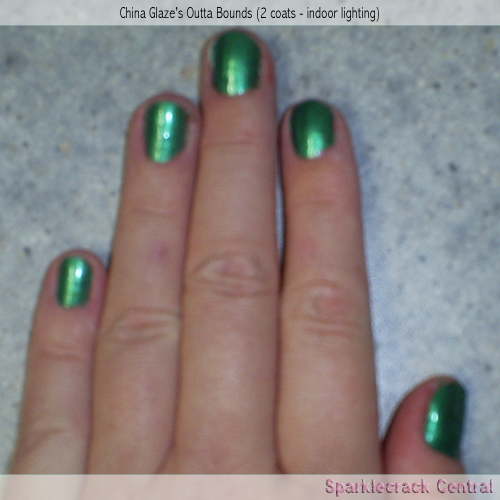 Sadly, it's does show faint brushstrokes, and is still too watery to make a decent stamping polish. 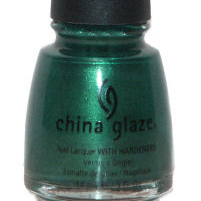 China Glaze's Jolly Holly, which is a true metallic polish (and thick enough for use in stamping), is a darker green than this color.